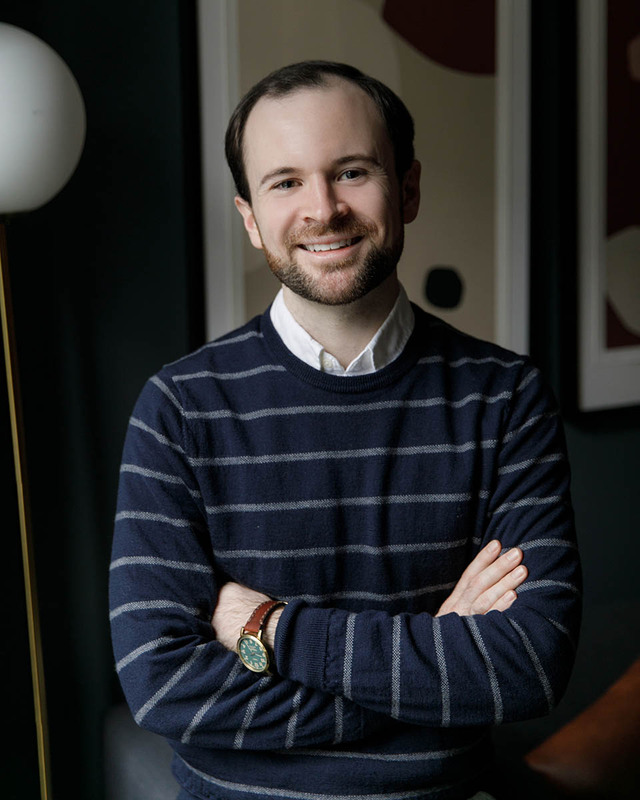 Andrew Schwehm is a licensed clinical psychologist who works with adults suffering from trauma, anxiety, depression, and relationship challenges. Andrew received his doctorate from St. John’s University and completed a fellowship at VA Northern California. He is a psychologist at Bellevue Hospital and Clinical Instructor at NYU School of Medicine. Before beginning my career as a psychologist, I worked as a reporter. I was drawn toward learning the stories of how individuals overcame adversity to excel in their given field. As I met people from various backgrounds, I found myself struck by the resiliency of the human spirit. I noticed that although each person had some roadblock along their path, they found ways to make their stories ones of change. Over time, I decided to become a therapist to help people in telling their own stories. I hope to create a warm, empathetic environment in which I can help my clients foster self-reflection and exploration so that they may come to peace with their past stories and create a narrative going forward that best allows a healthy state of mind. I believe an open, trusting relationship is the key to successful treatment. For that reason my first priority is to establish rapport and create an environment where my patient can feel comfortable. My goal is to help patients process experiences from the past, while also teaching new skills for clients to reach their treatment goals. I utilize a range of proven techniques in cognitive behavioral therapy and mindfulness to help my clients challenge unhelpful thoughts, manage difficult emotions, and change unproductive habits. I also believe in the importance of daily self-care practices. Whether starting a new project, going to the gym, or building that Ikea cabinet, the first step is often the most difficult. The same can be true for mental health treatment. This is not made easier in a society that can stigmatize individuals for seeking treatment. It often takes a great deal of courage to admit your struggle but I believe everyone can benefit from therapy, as it can help individuals seeking ways to cope with short- or long-standing difficulties find answers to those problems. There is rarely stigma attached to seeking medical attention, and I hope as society continues to see the benefits of therapy, the stigma around seeking mental health treatment lessens. The most important thing to know is that you are never alone in whatever battle that is going on within, and I hope that we in the mental health community can be there to assist when you are ready. The field is beginning to move toward recognizing individual strengths through tailoring treatments toward each person’s unique set of circumstances and diverse identities. This approach takes away some of the stigma that can often be associated with those struggling with mental health issues. Psychologists and mental health professionals are also becoming less isolated in their care of patients. Over the past few years, there is more of a push toward noticing the connection between physical and mental health, and this has allowed medical and mental health professionals to work in greater coordination around client care. I’m excited to be a part of this evolution of psychology. Slaughterhouse-Five by Kurt Vonnegut is on the surface a dark, satirical, anti-war novel. However, deep within the narrative is the beautiful story of the author’s post-traumatic growth and recovery from war. I have often thought back to this story, which was drawn from Vonnegut’s personal experience during WWII, when doing work with my clients. I believe this novel illustrates the power of recovery one can gain from telling his or her unique stories. Crafting narratives can help us be more understanding and forgiving to aid in recovery. Within therapy, I hope to create a space in which my clients can explore and tell their own story. We then can learn ways of coping with stress from this past story or from the present using evidence-based cognitive-behavioral and mindfulness skills.